Generally speaking, our intention in vinifying Petite Sirah from Dry Creek is to use it in blending in our Dry Creek Valley and/or Sonoma County Zinfandels. But if we can’t use it all up, we are always thrilled to have a bit leftover for it never disappoints. 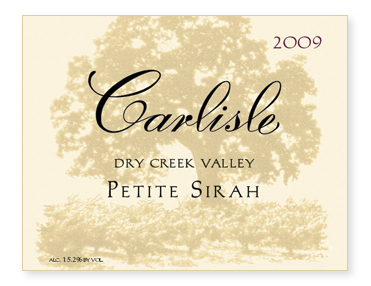 In fact, this 2009 may be the finest Dry Creek Petite Sirah we have bottled! Aged in all neutral oak and bottled unfined and unfiltered.